Two Leaves and a Bud Tea Company is bringing its chai tea to cafés in a new way: big tea bags. 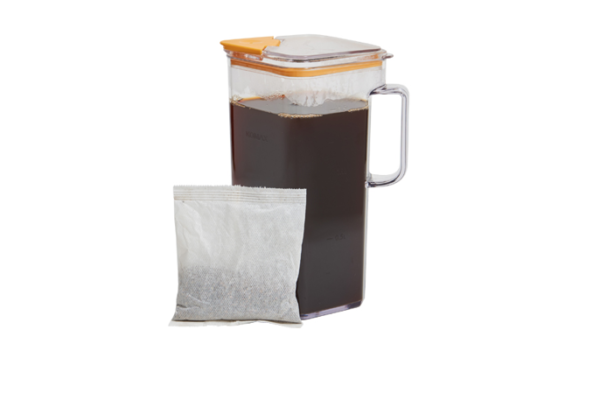 House Brewed Organic Chai Tea comes in a new simple, 1-oz “big tea bag” used to fresh-brew a 1:1 concentrate, or “strong-brew,” for house made hot or iced chai tea beverages. House Brewed Organic Chai Tea hits key trends in beverage: craft, small-batch and authentic; natural and unsweetened; organic and eco-friendly. The House Brewed Organic Chai Tea concentrate allows cafés to fresh-steep chai lattes, and even customize this chai “base” to make their own blend, if they choose. “These big tea bags allow coffee shops to offer a freshly steeped Organic chai that’s simple to prepare and cost effective. 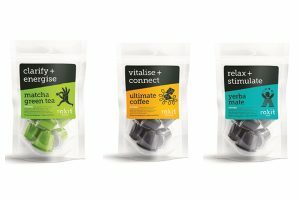 The cost per serving is less than half of the cost of the popular liquid chai concentrates on the market,” says Richard Rosenfeld, founder and CEO, Two Leaves and a Bud, Basalt, Colorado. “Shipping all of that heavy liquid around is not environmentally friendly, it’s expensive, and once you open those containers, it has a short shelf life,” says Rosenfeld. A shelf stable case of House Brewed Organic Chai Tea weighs less than two pounds and includes 24 filter bags, yielding a total of 80 or more lattes. The company notes that unlike many popular liquid concentrates, the House Brewed Organic Chai Tea has 100% chai tea – a blend of premium, organic Indian black tea and spices. There is no sugar and no preservatives. This is significant because consumers are increasingly cutting back on sugar and are wary of artificial sweeteners. 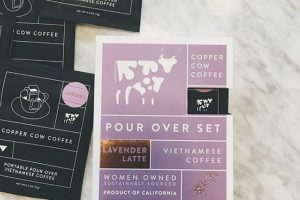 “With our House Brewed Chai, a café can now offer an unsweetened chai tea latte and customers can sweeten the tea how they like,” says marketing manager Christy Garfield. The inspiration for House Brewed Organic Chai Tea came from a café owner who told Rosenfeld she had been steeping the Two Leaves and a Bud chai tea sachets and customizing the resulting brew with syrups and sweeteners to make her own chai tea lattes. 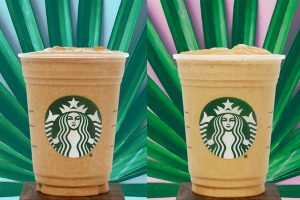 “We come across more cafés that want to craft their own beverages because that appeals to their customers,” says Garfield, “so we’re offering them a true chai tea base to create their own custom chai tea lattes. She added that their café customers are already reporting nice profits and customer satisfaction. “They’re even sending us their recipe ideas – like The Lumberjack Chai Latte sweetened with real maple syrup,” says Garfield.